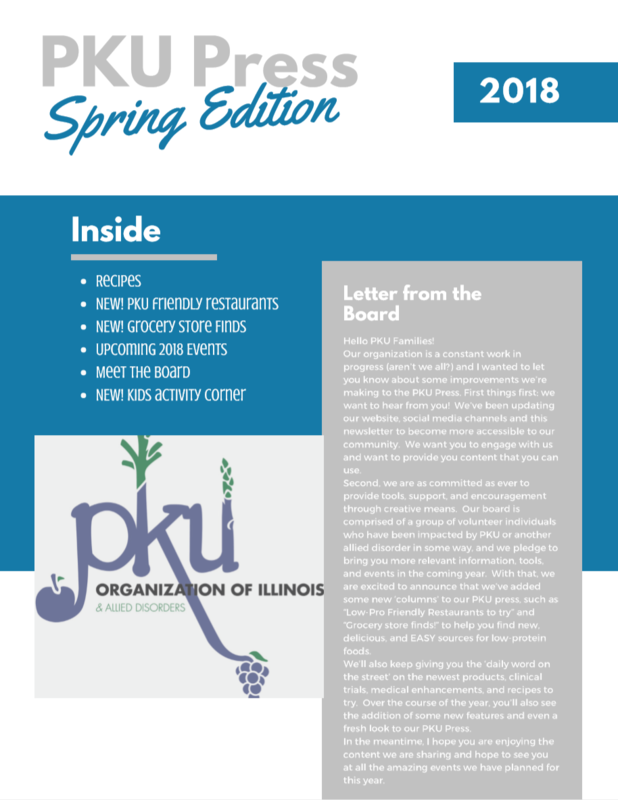 The 2018 Spring PKU Press is Here! Recipes, PKU-friendly restaurants, grocery store finds, a full list of our 2018 events, and more! Register today for New Parent Cafe!